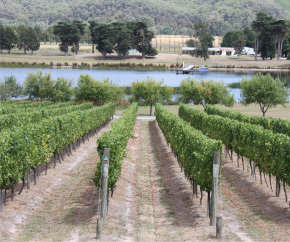 ‘Bellellen Estate’ is named after the district which is situated in the famous wine growing region of ‘Great Western’ in Victoria, and at the foothills of the ‘Grampians’ Mountains. The original vineyards in this district were planted with grapevine ‘root-stock’ taken from the historic 1866 vines. The land provides a north-east aspect which protects the vines from the prevailing winds and is ideal for fruit ripening. The deep ancient soils of alluvial silica and basalt, are free draining, fertile and enhances vine growth. Australian wildlife including Kangaroos, Emus and Echidnas can often be seen roaming through the fields. 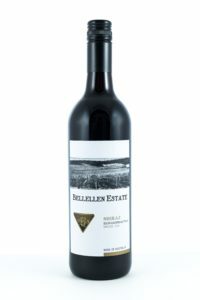 Bellellen Estate wines are produced by The Red Kangaroo Wine Company in the iconic Barossa Valley and crafted under the careful eye of Hamish Seabrook who is the fifth generation in this Australian Wine Family. From Hamish’s experience and his world class wine making practices, Bellellen Estate wines are produced to quality and with high integrity. 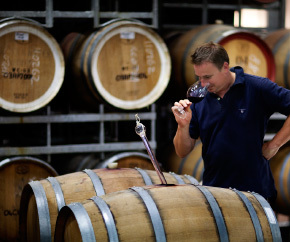 This wine displays bright fruit flavours of blueberries, blackcurrants and black cherries which are typical characteristic of this modern Shiraz wine. Secondary flavours of milk or dark chocolate lend themselves well to this full-bodied texture wine, often accented by pepper and spicy inflections. A full-bodied red wine with dark fruit flavours and savoury tastes from black pepper to bell pepper. The aroma is predominantly blackcurrant and peppery, but variations include touches of redcurrant, plum or even blackberry and, sometimes a hint of mint. Herbaceous, tomato-leaf or black olive or graphite immediately evident… however, darkened tarry and bitumen aromas abound. Impressive mid-palate adorned with pronounced Cabernet tannins and a refreshing acidity. This wine displays bright lifted aromas, with red fruit flavours, easy tannins and a soft finish which are classic characteristics of Merlot wine which is often backed by undertones of coco, vanilla and various earth tones. An enticing nose of dark plum and red fruits with a spicy lift. 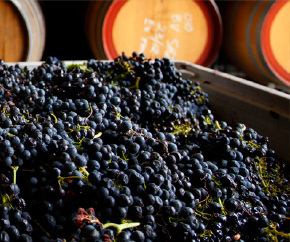 The rich, soft palate is rounded with sweet berry fruits and savoury spice. Balanced by subtle oak, the fine tannins provide good length for a silky finish. It will pair well with chicken and other light meats as well as lightly spiced dark meats.